Matador is the self-publishing imprint of Troubador Publishing, based in Leicester, England. Founded in 1990, Troubador is an independent publisher of both fiction and non-fiction, with a specialist list of books on business, communication and social justice, and Italian studies. The Matador imprint was launched in 1999 and it still remains one of the leading imprints in the UK for bespoke self-publishing services, including everything from design, production, distribution and marketing. There are signs in recent years that this kind of publishing model — a commercial publisher offering self-publishing services — may form the basis of where the future lies. If you like, it has become a kind of hybrid or centre ground of publishing. Equally, I have seen companies in the USA and UK move from paid-publishing services to full traditional contract-based publishing. 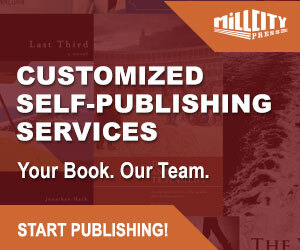 Generally the trend from the big five publishing houses has been to partner with companies like Author Solutions Inc. or Bookbaby and create dedicated self-publishing service imprints with little real connection to the parent big five publisher. Matador’s parent, Troubador Publishing, began by publishing academic texts and Italian studies before expanding its list to include books on ethics, communication, technologies and fiction. In 1999, together with the experience and guidance of Managing Director Jeremy Thompson, it introduced the Matador imprint. What sets Matador apart from many of the self-publishing service imprints from the big five is that it is selective about taking on a title if its imprint name is to be put behind the book project. Matador edit, design and produce a book to the same quality as if it was a of the Troubador title. Crucially, this means Matador can provide dedicated book trade distribution, backed by a sales team, to its top self-published titles every year through Orca Book Services and Star Books. The Troubador website displays and promotes Matador titles alongside its trade listed books in some very nifty and eye-catching book carousels. There are lots of companies out there who will offer to “Publish your book and make it available worldwide”, but producing a book and giving it an ISBN number (all that is needed to theoretically make it available) is easy. Few are choosy about what they publish, most have no proper design, many have little book trade experience, and virtually none offer hands-on marketing. The lack of brick and mortar distribution is one of the most significant disadvantages companies suffer from when it comes to self-publishing services. Matador take the model of author-publisher partnership and replicate much of what already exists in the established world of commercial publishing. In this regard, Matador helps to level the playing field of achieving book sales a little more fairly for the self-published author. As always, the author still has to deliver a finished book, which might actually have significant marketability, so real trade distribution channels count to gain shelf space and achieve sustainable over-the-counter sales. There is a fair argument in saying that this is the case with any kind of publishing. Publishers big and small can have access to the best trade channels and implement a solid and targeted marketing plan, but the ultimate decision to stock a title remains with booksellers. This kind of partnership publishing is not just any kind of publishing. A serious self-published author may be potentially shelling out four-figure sums from his/her own pocket, but the author can rely on a sound publishing business with all that comes with commercial publishing — that is; commitment, expertise and financial investment by both parties. Any paid-publishing service company which puffs up their offerings and describes them as partnership publishing without marketing expertise and trade distribution with the backup of sales representation is selling nothing more than basic publishing and title availability with online retailers. We prefer authors who are considering publishing their own work to find out as much as they can before they come to us. If an author is content with books for family and friends, or just happy with online availability — while the Matador imprint can provide these basic services — it may not prove to be the ideal fit, not because the author won’t be happy with the product or service, but because it’s like taking your beloved Mercedes out of the garage to drive to the local shop 200 yards down the road. You may love the experience, but it could prove short-lived. In as much as many self-publishing service companies laud upon the dream of literary success and riches, Matador seem to do the utmost to deliver home to an author the stark realities of self-publishing, yet it maintains the idea that it is personally fulfilling and potentially profitable with the right kind of book. At the best of times, partnership publishing is a hard recipe to follow and getting the blend just right requires support and expertise. Matador takes the commercial publishing model and applies it to self-publishing ‘as is’. Every step of the standard publishing process is available as a paid service, from assessment, editing, design, layout, print estimation and production, marketing and promotion (for e-book and print publication). It is left in the hands of authors to decide what services they want. With Matador, it does still remain up to the author what services are used, but I suspect the more Matador becomes involved with the book as a commerce project, and the more involvement undertaken by the author, the closer both parties engage in the process of partnership publishing. All authors are advised to download Matador’s Guide to Self-Publishing before contacting them by phone or email. There is no charge for the advice or time provided by Matador staff and the company does not engage in hard sell tactics to up sell services the author does not want. The guide is well worth a read whether you intend to use Matador’s services or not. It pretty much exposes the weaknesses in many other companies while at the same time it offers some solid independent advice for the self-published author. One of the criticisms I had about Matador in previous incarnations of this review was that the company was a little thin on pricing guides, particularly when it came to various marketing and distribution services. I’m glad to see this has been put right and most of the services in the guide and on the Matador website now include pricing. The flexible services Matador offers allows the self-publishing author to have their book published with a Matador ISBN, or alternatively, Matador will purchase ten from Nielsen at £132 under the author’s specified publishing imprint name. The author gets a minimum block of ten (including barcodes) rather than just one. The author will have the block registered in the name or their publishing imprint, i.e., Joe Blogs Publishing. I would still suggest authors do this prior to approaching Matador if this is the route they want to take. Let us move to the potential costs for an author using Matador’s services. Matador does include publishing cost quotation examples on the website and there is a specific webpage which takes the author through the criteria for the costs of book production and printing. Matador will quote for the pre-press costs within 24 hours (a general indication may be given over the phone) and then the author may choose from a number of bespoke marketing and distribution services depending on the book project. Authors should also note that the pre-press quotation does not include charges for editing, if this is required. The company does not offer packaged services. One of the biggest irks I hear from authors who choose to purchase all-in publishing packages is that they end up paying for services they don’t need or want, or they end up in the long run paying way over the odds without seeing the proper financial breakdown of each service. We base our costs on your book, and nothing else. For any book, we ask to see a copy of your completed (or near complete) manuscript. From this we can quickly work out the actual costs of the work involved in turning your manuscript into a book, and we then send you a written, no-obligation quotation. We believe that this enables authors to have a realistic expectation of what it will cost to publish their book, rather than sign up for a package deal and then find that they are asked to pay extra for “additional” services. Matador does offer e-book only publication (£350), or publication of an e-book together with the print edition (£180). E-Book production includes manual layout and file conversion to ePub and Kindle formats (or Adobe); bespoke cover design; ISBN allocation and data management. This cost also includes worldwide distribution through its network of international retailers, including Amazon, Barnes & Noble, Apple, Waterstones, BlinkBox, Kobo, WHS, OverDrive, Google and many others. Full details on e-books can be found here. Matador works with authors on a one-on-one basis and it offers in-house trade marketing and media and PR services for both print books and e-books. You can find a full detailed list of the below marketing services here. Marketing a book and marketing an ebook are very different activities, with the target audiences for each format in different locations. We thus offer separate ebook and book marketing services to enable authors to choose exactly what they want. While Matador does carry out copy editing using its in house editorial team, more in-depth editing and critical assessment is carried out by external third parties. These parties are listed below. We recommend that authors wanting a good quality critical assessment or who wish to work with an editor in depth should contact one of eight companies that we know carry out good quality critical assessments and editorial work at a reasonable cost. All of these companies will also offer you a discount on their usual fees if you mention that you have come to them from Matador. Advanced Information (AI) sheet – for both local bookshops and national book buyers. The AI is sent to wholesalers, library suppliers, relevant chain store book buyers and specialist outlets, as well as local and online bookshops. Bespoke lists are drawn from extensive databases, but Matador also works closely with authors to create targeted coverage. Full retail trade distribution through distributor Orca Book Services (for authors printing over 100 copies of their book), providing trade order handling and fulfilment, or distribution via Print On Demand (POD) for authors opting for this method of distribution. Book available through numerous online bookstores, including Amazon.co.uk, Waterstones and WHSmith, via Orca Book Services. Books will become available through any bookshop in the UK, either from stock or to order. Support and advice on all aspects of books marketing, sales and distribution with Matador’s marketing team, followed by continuing support on all aspects of books marketing from the Marketing Department. Access to a comprehensive marketing section on the Matador website (via Author Centre), available only to Matador authors. These pages are filled with ideas and suggestions for the marketing and promotion of an author’s book. It also includes a series of factsheets on many aspects of the marketing process. 20 copies of the AI sheet to use when an author visits bookshops. Inclusion on Google Search Inside and Amazon Look Inside programmes (optional). Inclusion in Matador’s email database used to promote titles direct to our customers. The book sales e-newsletters drive traffic to the Matador webshop. A book entry on Matador’s online webshop. The author has the ability to add certain information to the webpage about themselves and their book. 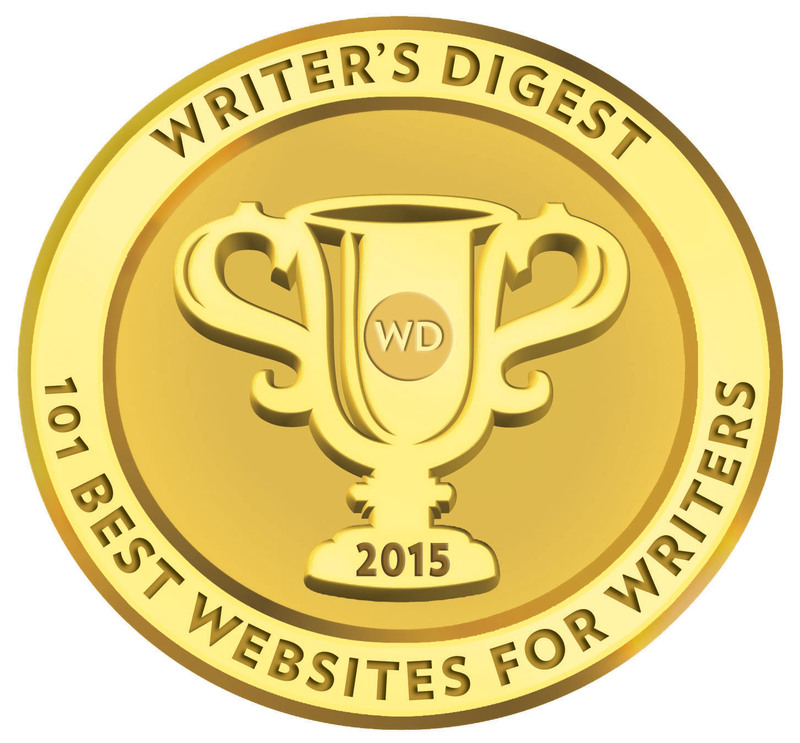 Readers can submit book reviews. Media coverage will also be placed on the book’s webpage. The webshop enables anyone to order books using a credit card or PayPal and have it delivered anywhere in the world. 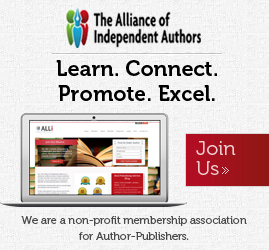 Author access to online sales information 24/7, where sales can be viewed at any time. Matador has full trade sales representation through Star Book Sales which has a team of 11 regional sales representatives who actively hand-sell new titles into retailers’ head offices, local stores and other book retail outlets in the run up to a book’s publication date. Titles are set-up with Star Book Sales in the run-up to a publication date. Further details on Star Book Sales and sales representation are available on this Matador factsheet. Regarding e-books, Matador splits net receipts on e-books (after retailer discounts) at 85/15%. Yes, just like going directly with a self-publishing distributor/retailer, you are going to earn a little more, but the author has to look after the quality of the files loaded to the platform, and that should be remembered here. Matador layout and convert manuscripts manually rather than through an automated conversion tool like when you use Amazon KDP, Kobo or Smashwords. Print royalties are subject to the retailers discount on cover price, which varies between 35% and 60%, plus Matador takes a 15% commission charge for invoicing, fulfillment, distribution and returns facility. Royalties are paid quarterly and once the author’s account exceeds £20. Troubador run the only annual self-publishing conference in the UK (usually held sometime between March and May) and it features seminars, speakers and sessions on all aspects of publishing, from design to distribution, marketing to social media. The company is the publisher of a quarterly print publication, The Self-Publishing Magazine, which contains news, advice, marketing and promotional tips, case studies and reviews of self published books (not just its own titles). Matador holds a number of Self-Publishing Experience Days throughout the year at a variety of locations (usually at print facilities), including CPI in Chippenham, Berforts in Stevenage and TJ International in Padstow. It can sometimes be hard for an author to find a thoroughly transparent company with an extensive range of self-publishing services, less the heavy-handed up selling of expensive publishing packages with pointless services. 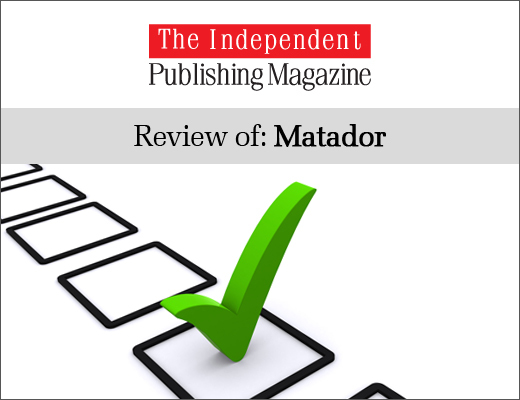 Throughout the past five years, and after several updates to the Matador review, I’ve had every question answered and any information I required for this review was provided by the company. The company website is packed with information and there is no attempt to dress up or sugarcoat the realities of self-publishing. While Matador has services to suit most authors, its preference is certainly to deliver quality products and services for the serious self-publishing author. In a year when two significant self-publishing service providers have disappeared from the UK market, Matador has continued to go from strength to strength, expanding its marketing and distribution services to non-Matador authors. Matador’s success also extends to its authors. The Bookseller’s curated showcase of indie book choices, launched last year in association with Nook Press, featured five Matador titles in its January selection of seventeen books. What I like is that Matador list their printers and it is also prepared to list any external company it vets and recommends to authors for assessment, developmental editing and translation rights. Its staff is listed by name in the company’s free publishing guide and their LinkedIn profiles reflect considerable experience in the publishing industry. Matador is a highly reputable partnership publisher offering an author the best chance of self-publishing success in the UK because it delivers in areas of marketing and trade distribution where many competitors promise much but fall considerably short on. The Matador bookshop and titles listed on Amazon reflect retail prices consistently competitive. Cover and internal layout is average to excellent depending on the title and its market reach. One area I felt Matador could do better at is featuring a dedicated blog highlighting authors and generating better reader community interaction rather than just relying on social media accounts. That’s a resource which can be better used to generate sales from an independent publisher’s website and also by providing fulfillment facilities from author websites. … for the UK market, we have far better distribution and market penetration than anyone else because we have traditional distribution as well as POD… for overseas, we also do POD distribution. Many of our UK authors do a print run for the UK (300-1000 copies) and POD for overseas. We also get a lot of overseas authors who do that as well, as they want proper UK distribution. What we don’t do is actively market books overseas, it’s impossible to do that at all well remotely for the range of countries that we service by POD. Similarly, we don’t have traditional bookshop distribution outside the UK, because again it’s unrealistic to have stock moving around the world and storage costs everywhere… it comes down to how we compare for non-UK authors who want POD distribution… we use the same supplier as any other POD operation (Lightning Source), we probably charge much the same for production, we cover the same territories, with likely the same print rates… so it comes down to whether an author wants active marketing in their territory (which we don’t do), and also the exchange rate. We do get a lot of US authors who see some additional kudos in being published by a ‘bona fide’ UK publisher… […] Similarly, we don’t advertise overseas so those non-UK authors who find us do so either through recommendation or Google. […] So we don’t actively seek overseas authors by advertising, but we are happy to publish for them. I reckon about 10% of our authors are non-UK. What Matador is trying to do is to explore and develop overseas partnerships with other publishers and distribution networks, whether in the USA, Australia, South Africa or other far-flung parts of the world, but the philosophy for any expansion is that any partner must meet the standards Matador has set for itself in the UK. It’s important to remember that Matador is a full service provider. It’s not aimed at DIY authors who want to take on much of the production and marketing work involved in the publication of their books (and those who would rather use services like IngramSpark or CreateSpace), so it would be unfair to compare and evaluate them on that basis. Troubador Publishing acquired Brighton-based self-publishing service provider The Book Guild in July 2015. At Matador we are very clear about costings. For every book that we are offered we first ask to see a complete manuscript; initially so we can assess whether we want to publish it (and often we don’t); but also because we can give a far more accurate and comprehensive written quotation to an author of what it will cost. That enables authors to compare what we offer with what anyone else can offer, in advance of deciding to go ahead. The “shopping list” approach that most companies use we feel leads to authors paying for services that they don’t need, or believing that it will cost x amount to publish when in fact there are the “add-ons” that “suddenly” materialise when you’ve signed up. None of our authors pays for things they don’t need, nor find that their costs rise “unexpectedly”. We offer bespoke publication, discuss the options available to an author and any cost implications, and treat every book as an individual project rather than just the next one that comes along. It’s called “publishing a book”. My experience with this publisher was anything but positive. Poor quality support from what i believe was a junior inexpert member of the lower staff. They couldn’t even get the title of my book right. Then they insisted I had not sent them my contract after thanking me for the large payment that was attached to it.. The front cover design I presented and had been successfully used on a previous edition they insisted could not be used. An attempt I believe to force me to pay them for another design. I was also quite frankly insulted when they suggested I had used wikipedia though I had researched the book academically for years. In short a shabby and quite dodgy outfit in my opinion which one would be well advised to avoid. A client of mine has a book published by Matador, it is now ranked at 2M as compared to the other books he published himself. Matador doesn’t seem to be doing a very good job marketing the books they take under their wing. If that’s the case, what’s the point? It would be better for an author to self publish. And when they say the author retains copyright and subsidiary rights, does that mean my client can republish another version of his book since Matador is doing such a poor job, techinically wasting the book’s potential? I have just published with Matador. Although the process took quite a bit longer than advertised (which was slightly frustrating at times), I was very happy with the end result. I didn’t opt for any of their marketing services, and have largely promoted the book myself via social media and my own contacts. I do like the fact that I retain all the rights, and was able to produce an ebook (using the same cover) very easily myself. I would definitely use them again. I approached Troubadour to self publish. It was a really poor choice and I would recommend people avoid this company completely. I actually visited them on numerous occasions to hand over initially the book and then on other occasions pictures and diagrams to be included. The whole process required me to continually chase them up and this quickly became a nightmare as they seem to have a rotating door of staff so I was dealing with different people all the time. Eventually I did get a book in print but it was missing the pictures and diagrams together with a dedication and introduction I had supplied. I got in touch only to be told they had never received them and was blamed for the error. I provided a paper trail of emails after which they backtracked. It took yet more time to receive the corrected version. The whole thing was an ordeal. Avoid like the plague. I genuinely cannot understand how Matador is apparently considered to be the best self-publishing outfit in Britain – it is impossible to conceive someone doing worse than they have done for me. My experience was frustrating at every stage of the process. In fact, I ended up project-managing the entire publication because my production manager was nice but inexperienced, slow at responding and ineffective. You end up dealing with a lot of people there and each executive sent me generic emails and letters with information which didn’t apply to me. I asked them repeatedly to customise their letters – no use. Eventually when the time came to make payments, I began discovering the small print. For example, if a sales person sends information about your book to stockists, she charges you for it. It is mentioned in small print (at cost), but suddenly I had to pay extra £50. Delivery of books to my house was £100 – it is fair enough but I wish they helped me to budget it because at the end of the day, my total cost of printing 500 books was £3,000. The typeset book came back for proofing with lots of unnecessary typos they could have spotted at their end. For example, three chapter titles went missing from the table of contents – an easy thing to check. Font selection was a nightmare – I found a range of fonts and selected them myself because there was no guidance and the process was going to take forever at their end. I can go on but I am going to list just two more things. When my books were printed, 20% of them (100 books) were defective. My heart sank. It wasn’t a moment of triumph – it was a nightmare. At their end I deal with Jeremy Thomson, their MD, after the books had arrived. He was rude, patronising and obnoxious. I am glad it’s all over now. I also ought to say that I used my own designer for the cover – can’t comment on this aspect of publishing with Matador. Finally, if you are working with them now, try to get Chelsea (head of production) to help you. She is excellent. Unfortunately this author had grossly unrealistic expectations of what was possible in the real world, demanding (and I use the word deliberately) attention immediately and often. She seemingly failed to read much of the information both sent to her by staff, and available freely on our website, or chose to ignore the advice given to her. Her attitude was sadly one of her never being in the wrong, and anyone who contradicted her being instantly aggressive and patronising. There was an issue with the printing of her books, but this was sorted as speedily as printing presses allow, at no cost at all to the author. Indeed, she was given additional copies of her book by way of apology by the printing company (whose error it had been in binding). Things go wrong with book manufacture, but when it does we resolve matters as swiftly as possible. Budgeting is entirely the responsibility of the customer. All our costs are notified in advance, it is up to any customer to decide what services they do or do not take and do their own sums. They say you can’t please all of the people all of the time… here’s one of those whom you cannot please whatever you do. What no one is yet to experience is what happens when they no longer wish to ‘keep’ the remainder of ‘your’ copies once the 2 year expiry date hits the exit button. I’ve published 2 novels with them and yes, it was a nightmare from start to finish but now they are demanding that I clear their warehouse by either sending me back my books or destroying them. But the worst thing is that they will no longer keep the basic novel in their files should you wish to re-issue the same. in other words, if at a later date I find a new outlet of sales I would have to look for a PRINTER to assist in new copies from my own files. Author review submitted by Tony Main. As I know nothing about publishing and moreover am in effect computer illiterate, I needed the services of a company such as Troubador to publish my books. In short I have found the staff to be efficient and a pleasure to work with, and have been pleased at the quality of the paperbacks. What, importantly, I have since realised is the on-going support I have needed long after publication – anything from Ebook limited offers, paperback discounts to compete with Amazon, Jeremy Thompson’s efforts when unexpectedly a book ran out of stock, which Amazon then advertised as being unavailable for long after the new print run was delivered, and so forth. In this respect Troubador’s knowledge of the publishing world has been essential and their advice most helpful, even though I did not buy any of their marketing services. The downside of self-publishing, irrespective of the publisher used, seems to me to be the number of sales on Amazon compared to, in my case, Troubador’s Bookshop site despite the discounts, and to bookshops, who both provide a faster service than Amazon is currently advertising. (It alters at random intervals.) Even self-published authors like to make a little on a sale.